Culprit is the brainchild of Kyle Street & Jordan MacDonald, formerly of two of Auckland's most renowned eateries on Federal St. 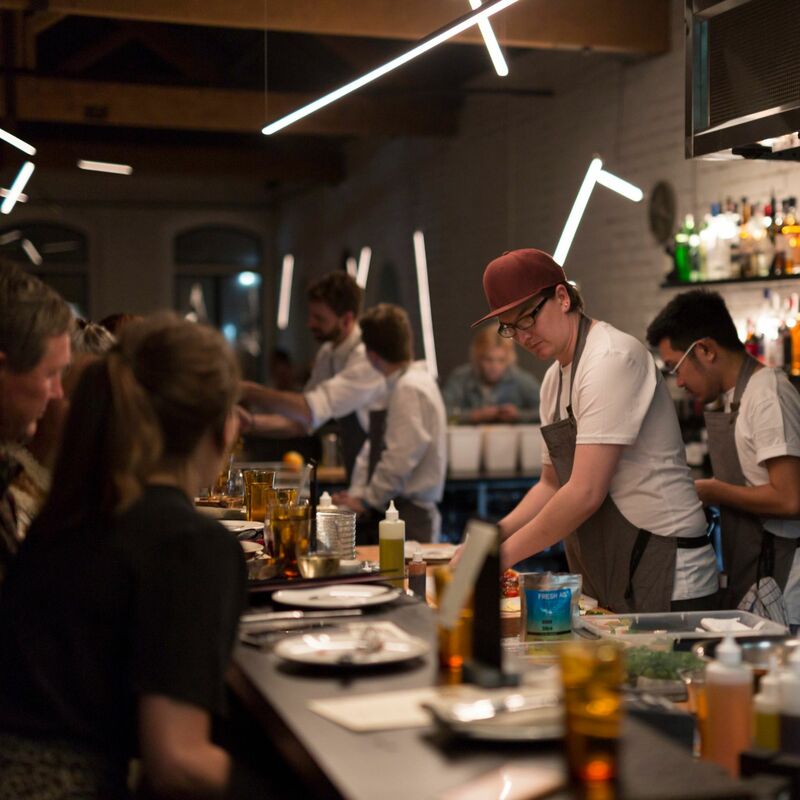 They now bring their take on Yum Cha style service into the heart of Auckland City. Drawing inspiration from their travel & experiences in the US and Europe. 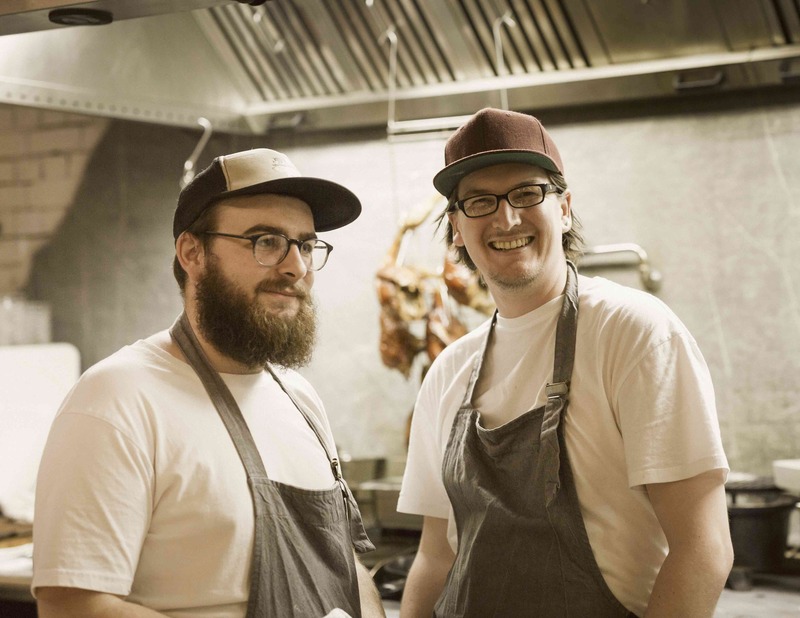 Our food philosophy is to work in collaboration with NZ producers, growers & farmers. For us our menu is about showcasing what they do, keeping it simple, fun, fresh and delicious. 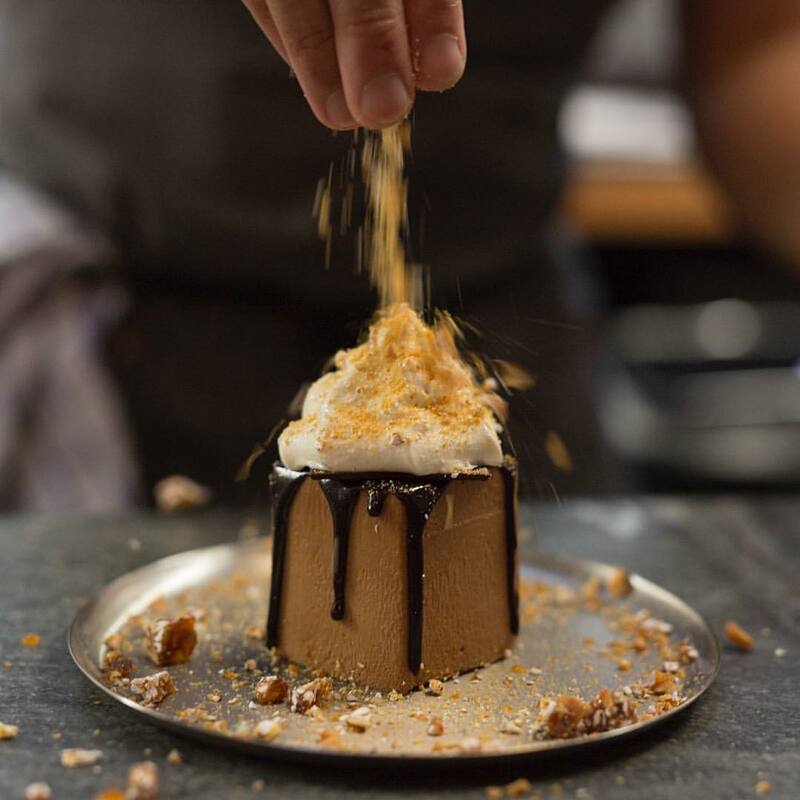 Order from our menu of signature dishes and as you wait the chefs will offer up daily seasonal tastes & bites. A sensational, original, dining experience. I love Culprit. I love the drinks list, the menu, the staff, and the ambience. 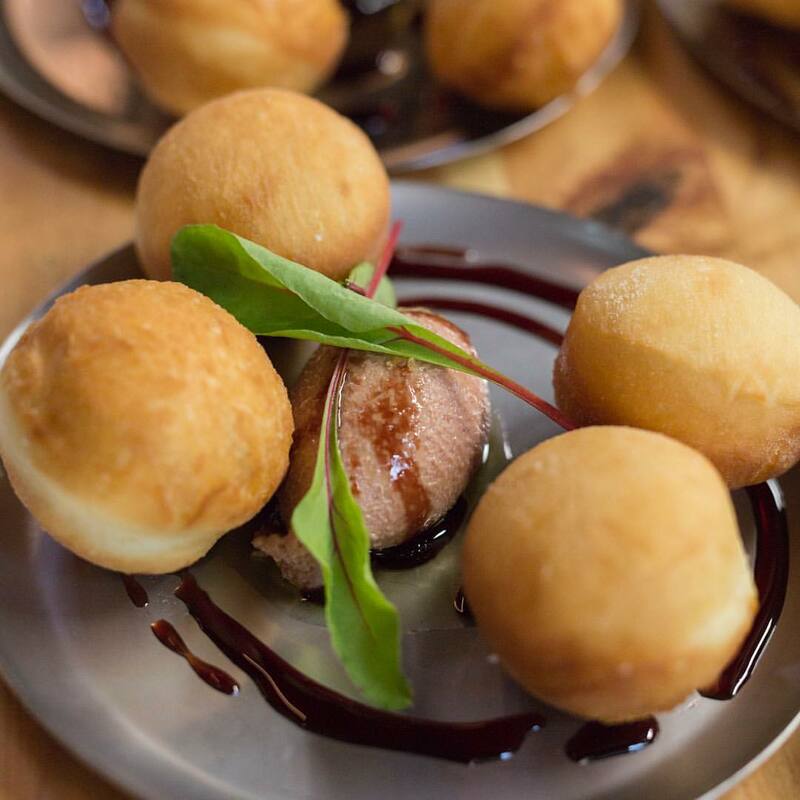 The signature 'Yum Cha' dish (the doughnuts with chicken liver parfait) is unbeatable. I intend to spend most of my foreseeable special occasions there. Great service, loved the food and enjoyed the unique trolley service. Music was  very enjoyable too. All round great place to have dinner. Loved the kiwi touches i.e old school screen projector for restaurant name. If you haven’t dined here yet, you definitely should. I absolutely LOVED the fixed menu. The food was sensational!! The variety and creativity amazing and service fantastic. It was a business dinnner and I will definitely be booking more. The team were friendly and helpful with me adding an extra person to the booking at the last minute. We had our end of year Christmas dinner at Culprit and had the delicacies menu. Our team were blown away by the incredible food and modern take on traditional cuisine and the cocktails were brilliant too. I think when the koha came out with the modern twist on kina - that sealed the deal. We just loved the rest of the meal. Incredible. Your manager Brett was amazing from the booking to ensuring we were all looked after on the night. So all in all, a great night was had. 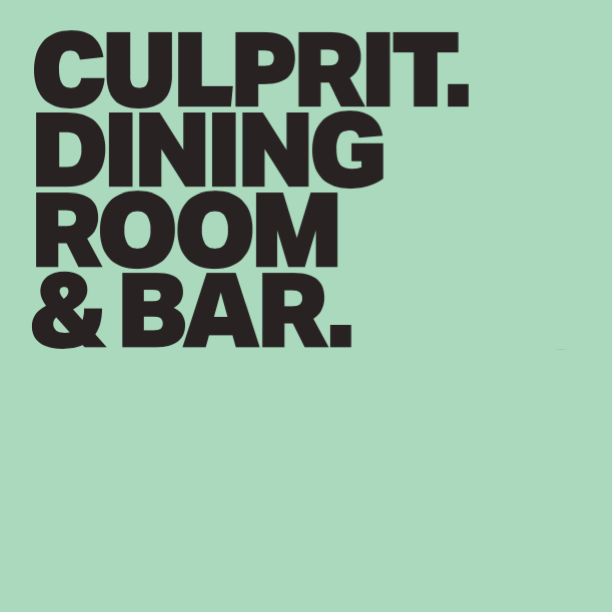 Thank you to the team at Culprit. Definitely rate you guys. Absolutely delicious and a wonderful evening. I have already recommended Culprit to numerous people since our visit. We were late owing to a mix up. Not a good start, but Culprit staff weren’t fazed by our tardy arrival. Service was excellent, food was divine. It was a Wednesday night and Culprit was full. The acoustics aren’t great, we had to ask for the music to be turned down because we couldn’t hear the waiter describing the food. We had an absolutely great time, the whole place with everything was the best, thank you. First time dining and our evening exceeded all expectations! just amazing. Innovative food at bargain prices. An inner- city treasure. Lamb for the main course was delicious. Definitely one of my favourites! Great staff, great food. Love you guys .... but I think your the best at dinner not lunch ... too heavy too fancy ... not a great lunch menu .... maybe we just chose the wrong selection but It was too heavy . thanks for your feedback we will be re assessing our lunch menu in the new year and will keep your feedback in mind. The music, beer selection and service were exceptional. Then the food was to die for. We received nothing but positive feedback from our guests. We loved the taste of culprit menus. Excellent experience. The food was outstanding, as was the overall dining experience. We had a fantastic dinner - loved the food, especially the lamb shoulder!! The desserts were all super yummy too and loved the way you can see the entree's then select them. The service was fantastic and we will definitely be back. Great unique way to eat out, food was delicious but definitely one to avoid if you’re after a quick meal. Take your time and enjoy all the flavours on offer. Liked the concept of inspiring yum cha style selection of intermittent courses and mains to share, the bitterness of fenugreek seeds perhaps didn't work as well with the trevally sashimi, the venison tartare a bit chewy and so were parts to an otherwise very flavoursome veal steak, the gazpacho and bone marrow were excellent and so was the asparagus side dish. Food good, hated the intrusive music. Excellent wait staff who made every dish special. Yum! Dinner was amazing, love the concept but probably should have ordered less from the main menu as we ate too much food and couldn't manage dessert! Our service was excellent. Highly recommend a visit here. We love the yum cha style starters. Always so interesting and varied. The mains were the same as our last visit about 6 month's ago, so would have liked a change but overall a very enjoyable experience. Staff are great, knowledgeable and attentive. We'll be back.